The EUR/USD currency pair has grown up significantly. Currently the pair is testing the descending channel’s upper border. 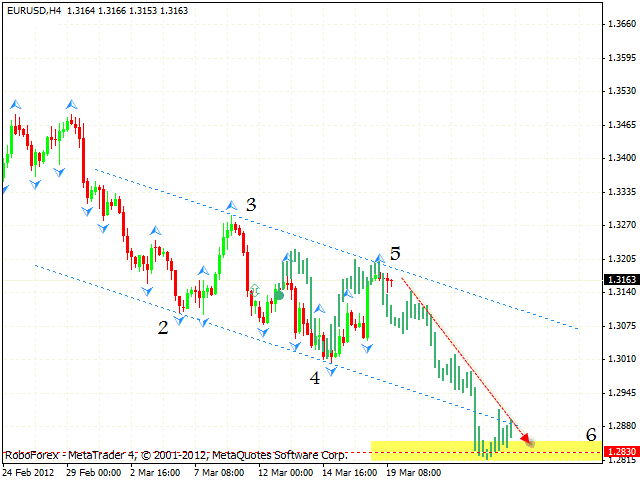 At the H4 chart we can see the formation of a symmetrical pattern with the target in the area of 1.2830. One can consider selling Euro from the current levels. 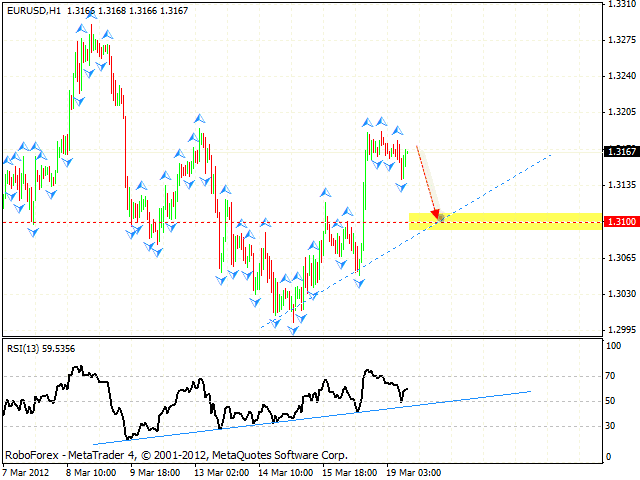 The breaking of the trend’s ascending line at the RSI at the H1 chart will be an additional signal to sell the pair. If the price grows higher than 1.3205, this case scenario will be cancelled. Pound has also grown up a lot. At the daily chart of the pair we have “head & shoulders” reversal pattern forming with the target in the area of 1.5245. Currently one can consider selling the pair with the tight stop. 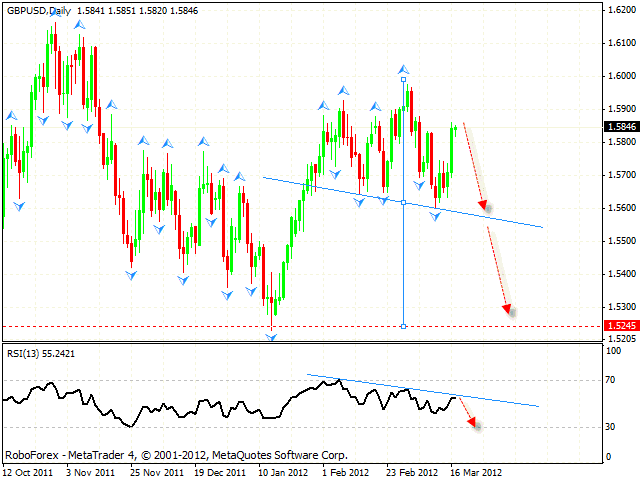 The test of the trend’s descending line at the RSI at the H4 chart is an additional signal to sell Pound. The closest target of the fall is the area of 1.57. If the price grows higher than 1.60, this case scenario will be cancelled. Franc’s descending movement is a correction. At the moment the price continues forming an ascending pattern, the target of the growth is the area of 0.9415. One can consider buying the pair from the current levels. The closest target is the area of 0.9240. If the price falls down lower than 0.9135, this case scenario will be cancelled. Australian Dollar is no exception, as it is also being corrected. The RSI indicator faced the resistance from the trend’s descending line. 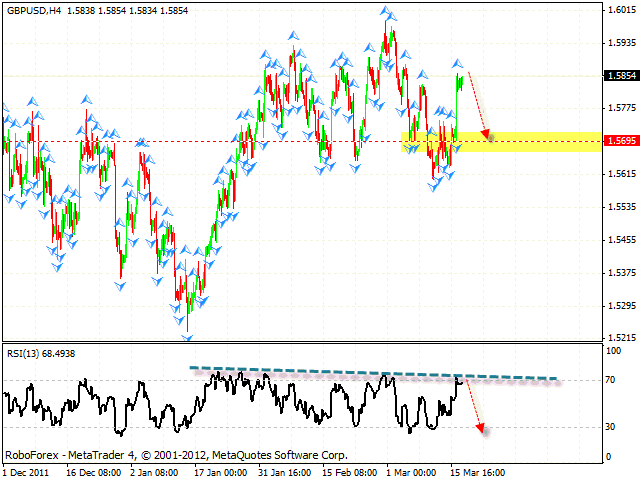 One can consider selling the pair from the current levels, the stop must be placed above 1.0630. The closest target of the fall is the area of 1.04. 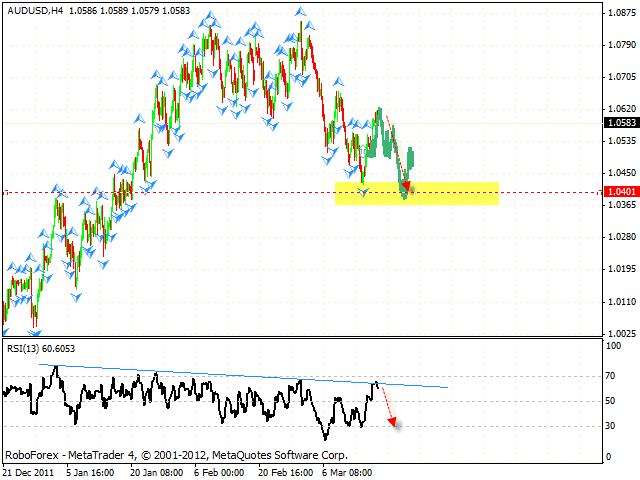 We recommend you to increase the amount of short positions only after the price breaks the level of 1.0535. Although the EUR/JPY currency pair has reached a new local maximum, there is still a possibility that it may fall down into the area 106. 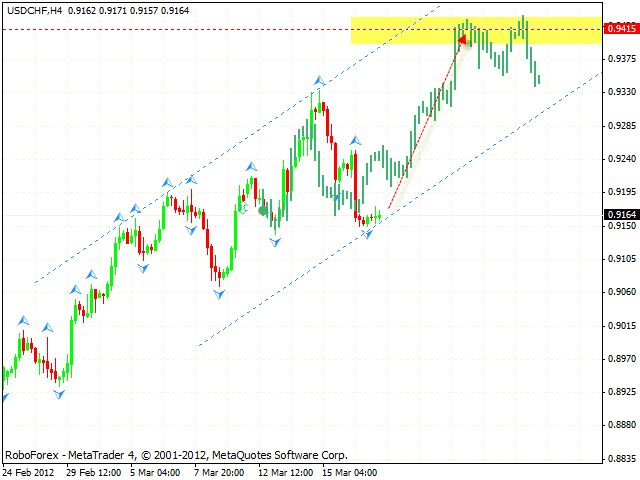 One can consider selling the pair when reversal patterns are formed at shorter time frames. The closest target of the fall is the area of 108.70. If the price grows higher than 110.20, this case scenario will be cancelled. 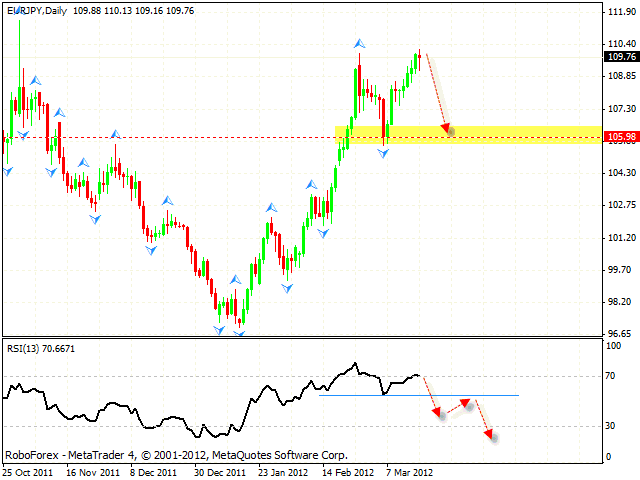 One is recommended to increase the amount of short positions only after the price breaks the level of 109.10.